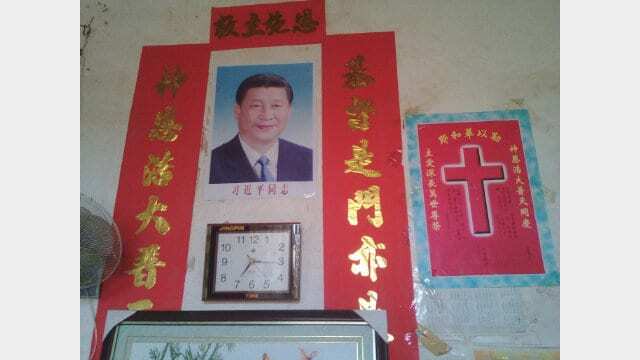 A portrait of Xi Jinping put up in the home of a Christian. 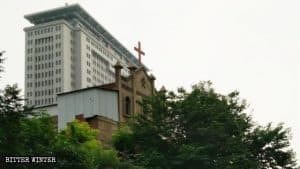 Authorities in Henan are now forcing believers to replace portraits of Jesus with that of Chinese leaders at their homes. 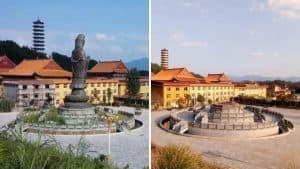 To show their gratitude to the Party, households that depend upon government welfare are now expected to put up portraits of Chairman Mao and President Xi Jinping. Such order has been recently passed in Henan’s Shangqiu city. Bitter Winter spoke with some families that have been affected by this order. To protect their identity, pseudonyms are used instead of their real names. Shi Jilei (86) and his wife are from Shangqiu’s Xiayi county. 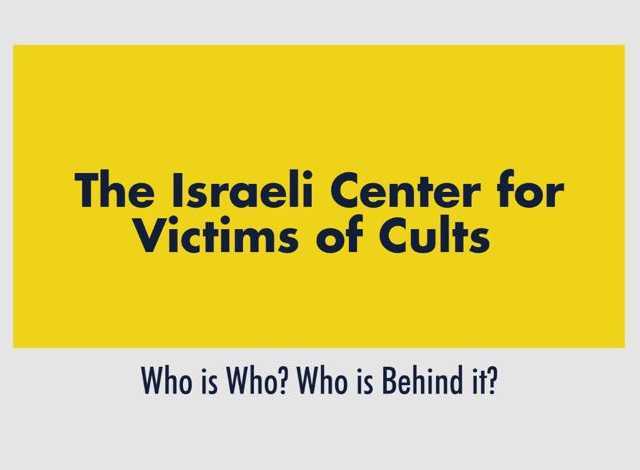 They are also believers of the government-controlled Protestant Three-Self church. When poverty assistance personnel showed up at their home during a routine visit, they were extremely annoyed to see a portrait of Jesus hanging in the house. One of the officials immediately tore it down and told Mr. Shi, “You are only allowed to have images of Mao Zedong and Xi Jinping. And if you continue to believe in God, your welfare benefits will be canceled.” Later, the officials sent in someone else to hang the portraits of the Chinese leaders at the house. Something similar transpired in a Zhecheng county household. 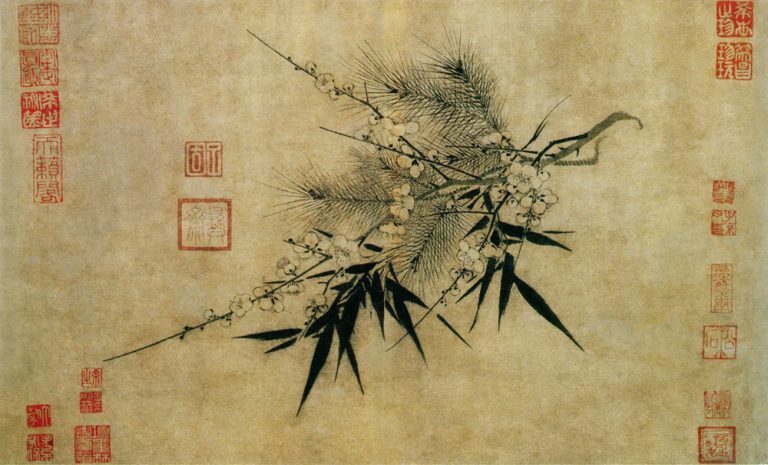 Liu Qingyun is an elderly lady with an impoverished family. She is entirely dependent on government welfare, which is why when officials demanded that she put up a portrait of Mao or lose her allowances, she had no choice but to obey. 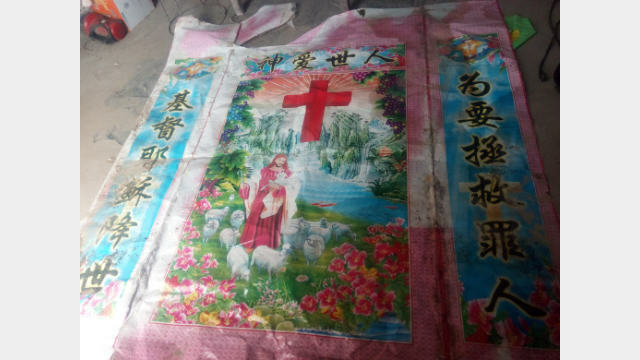 In another impoverished and religious household, an official told Zhao Lanying, “Impoverished households aren’t allowed to put up cross images. 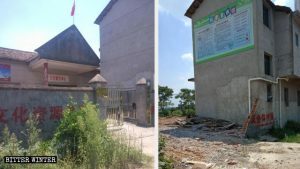 You can only have images of Mao Zedong and Xi Jinping; otherwise, you are opposing the party.” Images of Jesus and cross were taken down from her and two other households in the village. 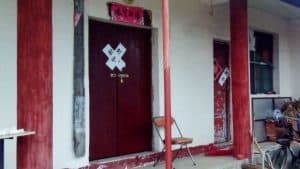 As per sources, such cases have been reported in Guantang town, Ningling county, Heji township and Changgang town of Sui county, and Bogang township of Zhecheng county as well. Some analysts observed that CCP’s interference in an ordinary citizen’s daily life and coercion into praising the country’s leaders and the Party is a dangerous sign of the Cultural Revolution revival, which should put the international community on high alert and draw its concern. 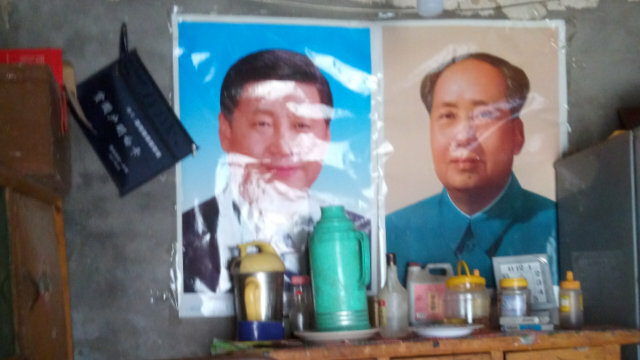 Portraits of Mao Zedong and Xi Jinping were put up instead of religious drawings. 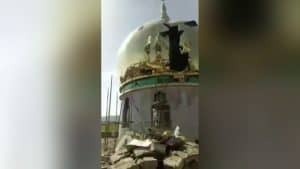 A religious picture taken down.